Most people would love to have a lemon tree in their backyard but the dilemma is which type of lemon tree? The two most popular varieties in Australia are Meyer and Eureka and both are very good choices. The Eureka is known for its hardy nature and produces fruit all year round. Eureka lemon trees are easy to grow and they will adapt to a wide range of climate and soil conditions. 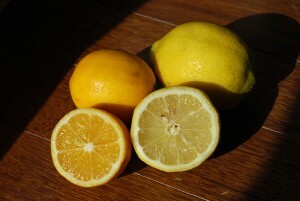 Eureka fruit tends to have rougher skin and slightly larger fruit and has a more sour “lemony” taste than other lemons. Eureka lemon trees need frost protection so if you plant them in an area with a lot of sun they will flourish. They are one of the larger lemon trees growing up to about 5m (16ft) tall and have no thorns. The Eureka is on the left and the Meyer is on the right. The Meyer lemon produces fruit most of the year and has a high juice content and a mild, low acid flavour. 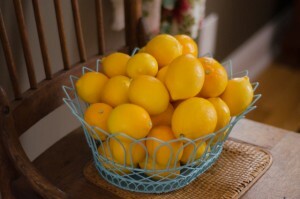 The Meyer is not a true lemon but thought to be a natural hybrid between a lemon and an orange or a mandarin. The lower acidity and reduced bitterness makes it one of the most widely grown home-garden varieties. It is a smaller bushy tree, growing to about 2.5 (8ft) metres and it has thorns. 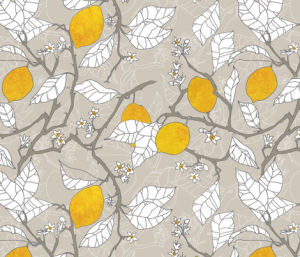 So how do you choose a lemon tree? First you need to ask yourself do you want a big or small tree, sweet or sour fruit and also how often you want fruit and also if where you want to plant it is sunny enough. Once you decide what your priorities are then you can choose your preferred tree. Or perhaps, if you’re lucky and your garden is big enough, you can get both!! !